The “F” word has gotten a seriously bad rap over the past few decades, but we now know fat — the right kinds, in the right amounts — is nothing to be afraid of. But not all fat is created equal. Before we get into how high-fat foods can actually help you stay full longer and lose weight, it’s important to understand the underlying type of fat. This type of fat is found predominately in nuts, seeds, avocado, seafood, and vegetable oils like olive oil, canola oil, and sesame oil — these are considered the healthy fats that should be part of a balanced diet. “Monounsaturated fats (MUFAs) found in avocado, olive oil, and some nuts have been linked to heart health,” says Katie Kissane, R.D., C.S.S.D., and owner of My Nutrition Coach in Fort Collins, CO.
Foods containing MUFAs most often provide additional essential nutrients most people don’t get enough of, like the antioxidant vitamin E, which helps support a healthy immune system. It’s best to get your dietary fats from mostly unsaturated sources, but a variety of sources is key, Kissane adds. Two well-known polyunsaturated fats, omega-3 and omega-6, are considered “essential fatty acids,” meaning our bodies need them for good health, but can’t produce them. Omega-6 fatty acids are found in cooking oils like sunflower, safflower, soybean, and corn oils, to name a few. Studies show that omega-3s may support heart health, and they’re found in fatty fish such as salmon, hemp oil, nuts, flaxseed, and even leafy greens. There are three types of omega-3s: eicosapentaenoic acid (EPA), docosahexaenoic acid (DHA), and alpha-linolenic acid (ALA). EPA and DHA are the ones that come primarily from fish; ALA, which is the most common omega-3 in our diet, comes mostly from plant foods. This is the kind of fat found in animal products like butter, bacon, cheese, and cream. Plant-based sources of saturated fat include coconut, coconut oil, and palm oil. Saturated fats are traditionally thought of as unhealthy fats, since they have been linked to elevated LDL (bad) cholesterol levels, says Kissane. And while studies have shown the stuff can hurt your heart, as more research is being done, science is proving not all saturated fat is bad — although it still shouldn’t be your main source of fat, she adds. This is especially true considering most foods high in the stuff are also high in processed carbohydrates (hamburgers on a bun, cheesy sausage pizza), which may be the icing on the cake, she points out. PHOs, the primary source of industrially produced trans fat, are found in many popular processed foods. Trans fat is the type of fat that is universally considered the worst kind. “Created in an industrial process that involves adding hydrogen to liquid vegetable oils to create a more shelf-stable fat, trans fats are found in fried foods and many processed foods,” Kissane explains. They have been linked to elevated LDL (bad) cholesterol and lower HDL (good) cholesterol, which can increase your risk of heart disease. In fact, the U.S. Food and Drug Administration (FDA) banned trans fats from foods. As of June 2018, food companies were barred from adding PHOs to their products. What really matters, though, is where the source of fat is coming from, points out Ashvini Mashru, R.D., L.D.N., author of Small Steps to Slim and owner of Wellness Nutrition Concepts in Malvern, PA.
“The fats found in processed junk foods and store-bought baked goods aren’t so good for us, while fat from more natural foods like avocados, grass-fed beef, and olives can be beneficial,” she explains. One medium avocado contains about 30 grams of fat, but most of that fat is the healthy monounsaturated kind (MUFAs) mentioned earlier. Fats help your body absorb fat-soluble vitamins A, D, E, and K, says Mashru. What’s more, research from Loma Linda University in California found that people who noshed on half a fresh avocado with lunch were 40 percent less likely to eat for hours after. Salmon is also a high-protein food and rich in nutrients such as B12 and other B vitamins like thiamine, riboflavin, and niacin, Kissane points out. Not a fan of salmon? You’re just as well off eating any high-fat fish, like anchovies, herring, sardines, trout, and Atlantic or Pacific mackerel. A handful of unsalted nuts is one of the best snacks you can reach for. Walnuts are a plant-based source of omega-3 fats and minerals like magnesium and calcium, Kissane says. A 2004 study found that people who snacked on almonds lost 62 percent more weight and 56 percent more body fat than subjects who snacked on complex carbs. Seeds like pumpkin, hemp, flax, chia, and sunflower are rich in healthy essential fatty acids, meaning “essential fats” that your body can’t produce on its own. Seeds also provide fiber to help aid with digestion and keep you feeling full longer, and are super versatile in the kitchen — you can add them to yogurt, smoothies, or baked goods for an easy boost of fiber. “There is a lot of hype about coconut oil. It’s not a miracle fat burner, but small amounts in the diet may be beneficial,” Kissane says. It’s actually a source of saturated fat, but it contains a type known as medium chain triglycerides (MCT), which are absorbed and utilized by the body differently than longer chain saturated fats, she explains. However, coconut oil is still 82 percent saturated fat, so it’s wise to use it in moderation. Greek yogurt is high in beneficial vitamins and minerals, including potassium, calcium, phosphorus, and B12. But don’t forget to check the label: Look for the plain, unsweetened kind, as most flavored yogurts are packed with added sugars and other additives. 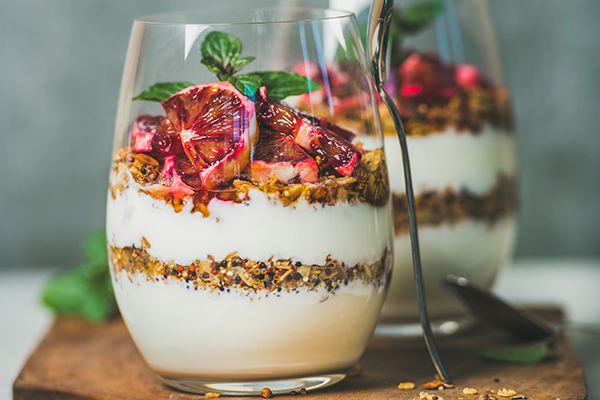 “Greek yogurt does have some saturated fats, but it also contains a fat known as conjugated linoleic acid, which has been linked to improved body composition,” according to Kissane. Greek yogurt is also a great source of protein and probiotics. The protein and fat combination can help you feel fuller after eating and can help slow digestion, while the probiotics can help maintain a healthy gut. “Olive oil is a great source of monounsaturated fats (MUFAs), which are a major component of the heart-healthy Mediterranean diet,” Kissane explains. Olive oil has a moderate smoke point and a mild taste, so it won’t affect the flavor of your dish. Note: Different varieties of olive oil have different smoke points. For example, extra-virgin oil has a smoke point of about 375 degrees F, while the smoke point of extra-light olive oil is around 468 degrees F.
When you’re using pure, truly extra-virgin olive oil, the taste is incomparable — it’s great for salad dressings or drizzled over tomatoes with a little mozzarella cheese, balsamic vinegar, and basil. Almond butter is high in monounsaturated fats and a great source of vitamin E, phosphorus, and magnesium. If you’re not crazy about almonds, any kind of nut can be a healthy part of your diet. “Today, you can buy nut butters of all kinds including almond, cashew, and more, and the healthy fats in all of these can help to keep you full and satisfied,” says Mashru. 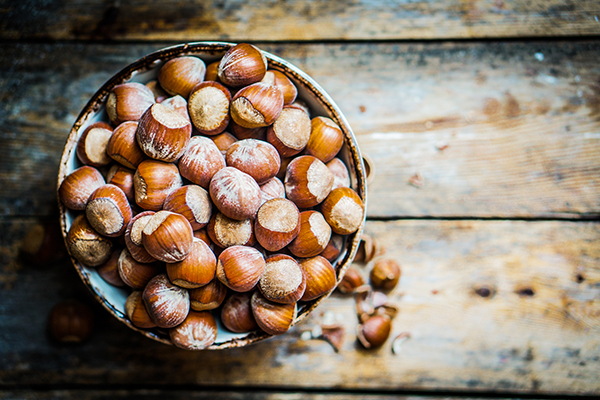 But read the label — the nut should be the only ingredient listed, so put back any jar that has added sugars or vegetable oils. Better yet? Make your own! We all know egg whites are the “healthy” option on menus, but the yolk of an egg actually contains most of the healthy fat, Kissane says. “There is some saturated fat and cholesterol in an egg yolk, but the yolk is a rich source of nutrients, including fat-soluble vitamin A, minerals such as iron, as well as some essential fatty acids,” she says. Eggs may also help reduce your waistline: A study found that people who ate two eggs for breakfast as part of a calorie-cutting diet lost 65 percent more weight than those who scarfed a high-carb breakfast in the morning. Surprise! You’re getting the go-ahead to nibble on some chocolatey goodness — but only the dark variety. “Dark chocolate does contain saturated fat, but it is a wealth of nutrients including iron [and] magnesium, and it is a rich source of antioxidants,” Kissane says. But as with other high-fat foods, moderation is key! If you’ve read this far, you know that this doesn’t mean you can start gobbling high-fat foods willy-nilly. 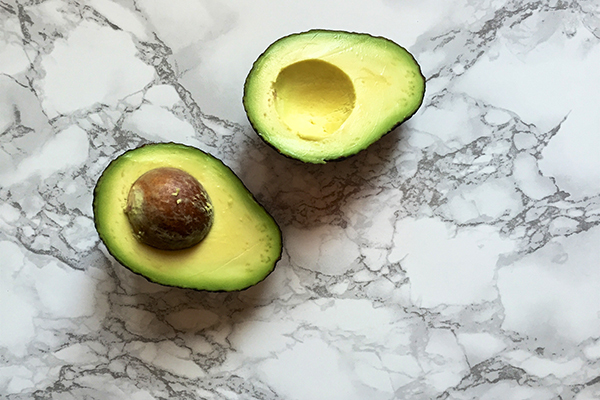 Healthy fats have a place in a balanced diet, but that doesn’t mean you have to cut all other fats (except for trans fats!) out forever. Many foods that contain fat also contain other nutrients that provide benefits for your body. Make sure that your diet includes a variety of food sources, with a focus on whole, unprocessed foods, including healthy fats.